increase in product awareness, visitors and conversions! Charging up your online store with personalised custom ecommerce development services that can help you grow your business to heights you hadn’t yet thought of. With a proven track record backing us, the tprmedia team lets you achieve a better online presence with a robust ecommerce web design that meets your overall objectives. With a plethora of options available to choose from, ditch the tired look for a refresh that showcases your key products in an ecosystem that converts. Why choose us as your web development team – be it in Brisbane, Melbourne or elsewhere? There’s many agencies who do what we do, but our competitive edge is found in our attention to detail. While we work hard to deliver on your initial thoughts and concepts, we also form a solid foundation for your ecommerce web development project by offering transparent advice that powers up your marketing strategy. With a unique, intuitive layout at hand, your brand can leverage an increase in product awareness, visitors and conversions across the board. A great first impression to your digital storefront starts here. Feature-rich to meet each individual requirement of your business, our designs are tailored to make your life as a business leader easier. Experience a myriad of functions and capabilities that give your audiences a seamless customer experience, all the while adding to your bottom line. Thorough research : It’s not brain surgery to create an attractive ecommerce web design, but it does take intuition, strategy and a firm understanding of business objectives, to make it successful. Our experts are equipped with best-in-class technical skills to deliver you a platform that reflects your values, goals and customer behaviour. Careful planning : We don’t throw ourselves into any project without a solid blueprint that shows us how to best approach it. WIth a roadmap in hand, we’re able to effectively analyse the time frames involved, the stages of work and what you can expect at each phase of the journey. Diligent delivery : We stick to our deadlines, and where there’s an obstacle, we find straTegic ways of tackling them. Keeping you in the loop from the outset, you’ll be aware of when you can expect the completed product, and how to best incorporate your marketing strategy into your new ecommerce web design’s launch. If you’re looking to redesign your online store, enlist the help of tprmedia’s custom ecommerce design specialists in Brisbane. WIth services extending across Australia – including Melbourne and other major capital cities – we’ve established a reputation for platforms that don’t just look good, but perform exceptionally, too. From the initial discussion, we’ll answer your most hard-hitting questions, helping you to understand whether custom ecommerce web development is the best option for you, or if we’re able to provide you with a better approach. The end result? A flawless website that delivers on every aspect of your business. Is a custom ecommerce web development right for you? The boom of the ecommerce era isn’t surprising. Backed by the ability to showcase products in an easy-to-navigate, conversion-driven approach, these designs are a popular option for businesses both small and large. 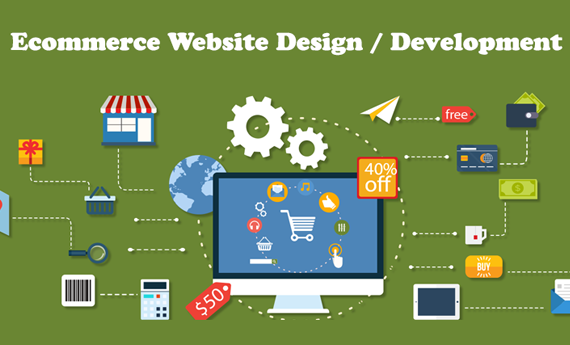 In essence, a good ecommerce web design builds a solid foundation for a high-performing online store. Equipped with a shopping cart and impressive product catalogue, your brand can provide an easy shopping experience for users. Top it all off with an efficient merchant interface that lets you tailor the journey, and your online success is set to be revolutionsed. Build trust : When designed with creativity in mind, custom ecommerce developments can generate a powerful basis of trust with your audience. Show them you’ve given your platform the time of day and allow them to navigate easily through your sales funnel. Accessibility : Users demand instant results and the ability to shop anywhere, anytime. Feed this trend with an online store that allows for a seamless customer journey – no hiccups, no confusion. Just pure conversions. Support SEM tactics : If you’re investing in Google AdWords or Google Shopping, further support your campaigns by equipping an ecommerce web design that helps your user find what they saw advertised by your site elsewhere. Don’t lose them in the process of a complex layout that creates confusion and frustration. Sell globally : Looking to expand your customer base? Our custom ecommerce development experts in Melbourne and Brisbane can turn your simple online store into a worldwide offering. Get in touch with our team on 1800 896 599 to get started on your website refresh now.